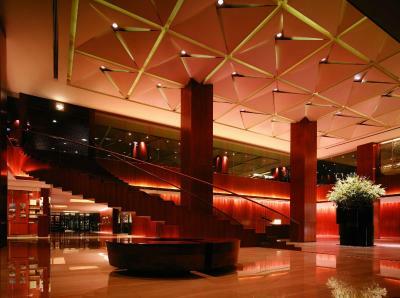 Lock in a great price for Grand Hyatt Singapore – rated 8.6 by recent guests! Stuff is so kind, room is cleaned up properly, bar dancers is so nice, amenity kit (shampor, conditioner, bath gel) is prety nice. I forgot my expensive watch in my room. And I noticed after checkout. Stuff kept my watch in reception countor. It came back to me. Thanks grand hyatt stuff. Breakfast is very good and having many choices of foods (Asian, western,...). However, the space of restaurant is a bit small and hence seat is not really comfortable as it is very near to next table. Location is perfect! Just 1 minute walk to main and most busiest street. For my case, I asked for late check-out in 1 hour and it was accepted. I think this is a credit point to the hotel as you fully supported for guest when needed. Concierge is THE best! Housekeeper is also good. Our room is very clean and tidy in time. Front desk is very competent. Check in and check out is smooth. No waiting. 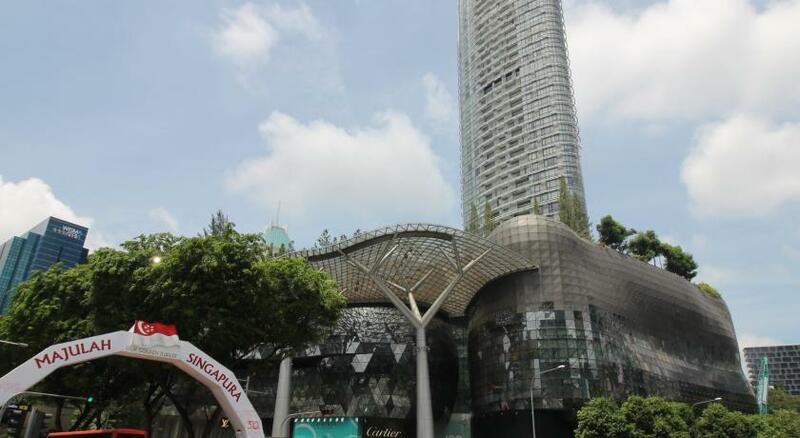 Close proximity to Orchard Road and it’s shopping centers. Has good restaurants and bars within and nearby the hotel. Breakfast buffet spread was good. Enjoyed our stay here. Location is fantastic, staff at the executive lounge was very friendly and helpful. The location of the hotel is excellent and the staff went out of their way. Rooms are complete and large. Swimming pool is nice but could be a bit larger for such a size hotel. Great location, just walking distance to metro and shopping mall. We got king room and it’s spacious. Grand Hyatt Singapore This rating is a reflection of how the property compares to the industry standard when it comes to price, facilities and services available. It's based on a self-evaluation by the property. Use this rating to help choose your stay! One of our top picks in Singapore.A 5 minute walk from Orchard MRT Station, Grand Hyatt Singapore offers luxurious accommodations, an elegant outdoor pool and 6 dining options including the award-winning restaurant mezza9. There is also a spa. Conveniently located on Scotts Road, it is 10 minutes by car from Suntec Convention Centre and Clarke Quay, Singapore’s nightlife hub. 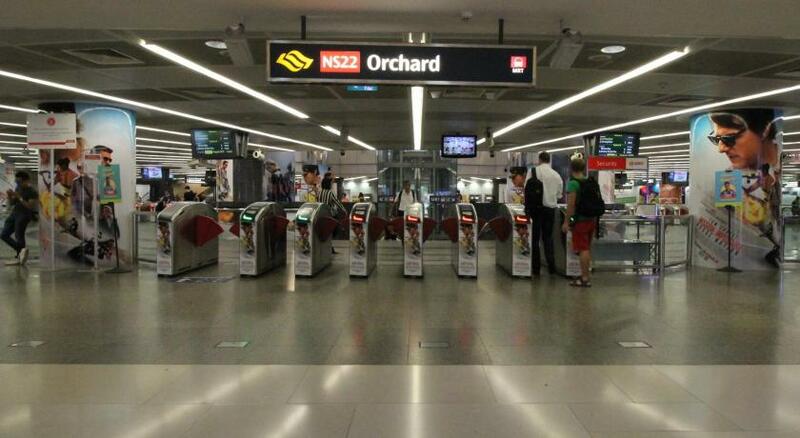 Changi International Airport is a 30 minute drive from the hotel. The spacious rooms include a 37-inch flat-screen cable TV, complete with a DVD player. They also have a laptop safe and goose down pillows, as well as high-speed internet access. Guests can work out at the Damai fitness center or enjoy indulging spa treatments at the Damai Spa. Other facilities at Grand Hyatt Hotel include sauna and steam rooms, hot tubs and plunge pools. Both Asian and Western cuisine are available. For local delicacies, visit the StraitsKitchen, or opt for a poolside setting at Oasis, which features a BBQ buffet dinner. Hearty Italian cuisine is available at Pete's Place while refreshing cocktails can be found at the 10 Scotts, Martini Bar and BRIX. When would you like to stay at Grand Hyatt Singapore? This suite features air conditioning, DVD player and bathrobe. Guests have exclusive access to the Grand Club Lounge which serves Continental breakfast, evening cocktails and all-day refreshments. Please note that for bookings which include breakfast rates, guests can enjoy breakfast at any of the property's food and beverage outlets. Please note that this room can accommodate up to 3 guests. This suite has a DVD player, dining area and air conditioning. This suite has a bathrobe, dining area and CD player. This triple room features a mini-bar, air conditioning and DVD player. Please note that this room can accommodate up to 4 guests. Larger air-conditioned rooms are located in the Grand Wing. The seating area is fitted a workstation and two flat-screen satellite TVs equipped with an entertainment system. The separate bedroom offers a king-size bed and pillows filled with goose down. The private bathroom includes a hairdryer and June Jacobs amenities. The rooms offer access to complimentary high-speed wired and wireless broadband network throughout the property. Please note that a roll-away bed will be arranged for triple occupancy rate. Larger air-conditioned rooms are located in the Grand Wing. The seating area is fitted a workstation and two flat-screen satellite TVs equipped with an entertainment system. The separate bedroom offers twin beds and pillows filled with goose down. The private bathroom includes a hairdryer and June Jacobs amenities. Featuring light-colored timber furnishings, air-conditioned rooms are located in the Terrace Wing. Rooms are fitted with a rechargeable laptop safe, an extended workstation and a 37-inch flat-screen satellite TV equipped with an entertainment system and audio/video facilities. King-size beds and pillows are filled with goose down. The private bathroom includes a hairdryer and June Jacobs amenities. Please note that rate for triple occupancy, a roll-away bed will be arranged. Features a separate seating area. Includes June Jacobs amenities, free in-room internet and flat-screen TV with DVD player. Featuring light-colored timber furnishings, air-conditioned rooms are located in the Terrace Wing. Rooms are fitted with a rechargeable laptop safe, an extended workstation and a 37-inch flat-screen satellite TV equipped with an entertainment system and audio/video facilities. Twin beds and pillows are filled with goose down. The private bathroom includes a hairdryer and June Jacobs amenities. This double room has a bathrobe, tile/marble floor and flat-screen TV. This suite features a seating area, kitchenware and spa bath. House Rules Grand Hyatt Singapore takes special requests – add in the next step! Grand Hyatt Singapore accepts these cards and reserves the right to temporarily hold an amount prior to arrival. Please note that the hotel offers airport shuttle services at an additional charge. Guests are required to provide full arrival details at least 3 days in advance using the property's contact details available in the Booking Confirmation. For last minute requests made less than 3 days before arrival, please contact the property's Concierge Team directly. Please note that cancelations within 24 hours will incur a penalty charge. Very well maintained. Excellent location. Amazing staff friendliness. Value for Money!!! Definitely stay again when visiting Singapore again. Not a thing. Our stay was short, but perfect. The bed was very comfortable , the room was spacious, and the location was perfect. Excellent location. Great pool area. Enjoyed the location and the fast check in. Room not fully prepared for arrival even though we arrived at night (rollaway bed and other small amenities were not there). Maids didn't bring all of the small amenities we asked for (e.g. hand lotion), and tossed both shower caps and only replaced one. The maid also tossed my disposable contacts lens case!! Modern facilities, great location, very comfortable room. Good reception staff (welcoming and efficient). Great location, comfy bed and great ambience. Nothing makes me dislike the hotel.